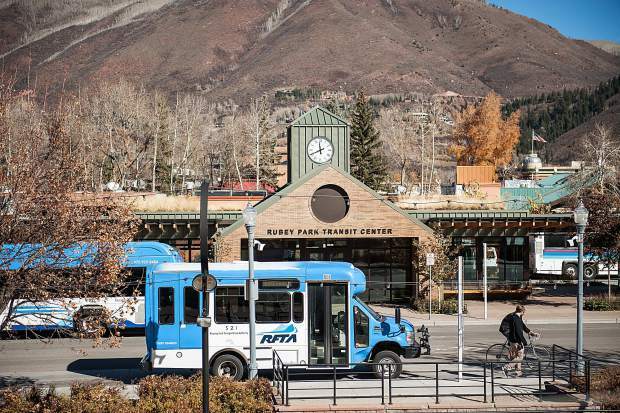 Buses buzz about the Rubey Park transit hub in Aspen. Roaring Fork Transportation Authority’s request for a new property tax held a comfortable lead as final votes were rolling in from Pitkin, Eagle and Garfield counties last night. As of midnight, voters in Pitkin and eligible parts of Eagle and Garfield counties supported the measure by 10,049 in support to 9,284 against. That was a 765-vote lead and 52 precent-to-48 percent margin. 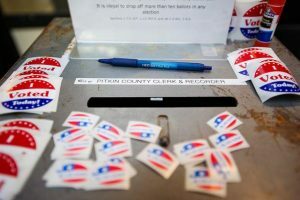 RFTA Chief Executive Officer Dan Blankenship predicted earlier in the day — before polls closed — it would go down to the wire. “My sense is if we win, it’s going to be a narrow margin of victory,” Blankenship said at 2 p.m. He was feeling slightly more relieved at 10 p.m. with the 608-vote buffer, but he wasn’t ready to proclaim victory. “I still remember Truman holding up the paper that Dewey won,” referencing an incorrect newspaper headline declaring Thomas Dewey beat Harry Truman in the 1948 presidential election. RFTA needed a 50 percent plus one vote in its nine member jurisdictions to win the election. 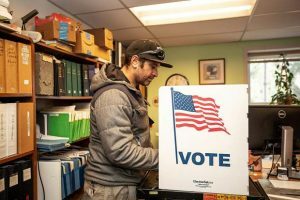 Voters in Aspen, Snowmass Village, Basalt, Carbondale, Glenwood Springs and New Castle as well as all of Pitkin County and parts of Eagle and Garfield counties were eligible to participate in the election. The tax proposal was approved in all three counties. 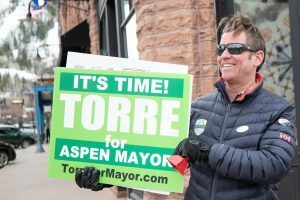 It was most popular in Pitkin County where there were 4,699 for and 4,204 against. In somewhat of a surprise, the proposal found more support in Garfield than in Eagle county. Unofficial results showed it had 3,710 votes of support to 3,492 against in Garfield County. Only voters in Carbondale, Glenwood Springs and New Castle could vote on the plan. Unincorporated Garfield County isn’t a member of RFTA. 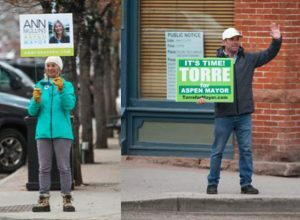 In Eagle County, only voters in the Roaring Fork Valley portion could vote on the measure. It was supported by 1,640 and opposed by 1,588. It was unclear at midnight how many votes remained to be counted in the jurisdictions, but the margin of support appeared too large to change. RFTA pitched the new property tax as a much-needed new revenue source to replace buses, expand service and make improvements to the regional bus and trail systems. The approval means RFTA’s tax revenues will increase by $9.5 million in 2019, the first year it is in effect. RFTA’s debt authorization is increased by $7.68 million. Polling by a RFTA consultant in January and June showed voters were divided by the tax proposal. RFTA’s board of directors reduced the proposed mill levy to 2.65 to try to increase the likelihood of approval. Blankenship said he and the staff were feeling “just a tremendous amount of gratitude and relief” for the support, assuming the margin held up. Success at the polls was the culmination of multiple years of effort by the agency’s staff and supporters. “It will inject a lot of positive energy into the organization,” Blankenship said. 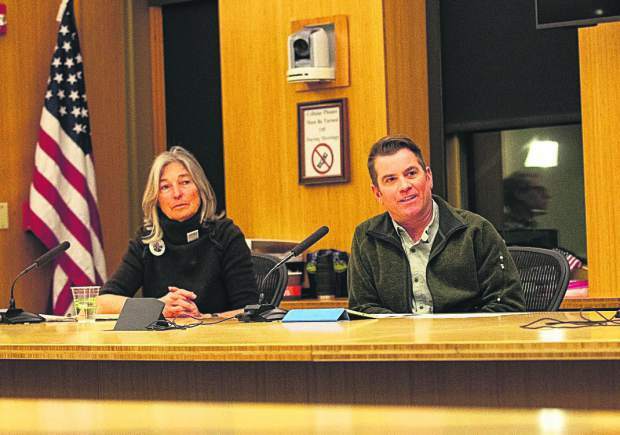 RFTA’s planning included specific projects it will undertake between Aspen and New Castle. The staff will likely come to the board of directors in January with plans on how to accomplish those changes to operations and capital improvements. “2019 is going to be a planning year for the most part,” Blankenship said. When asked what he felt resonated with voters, Blankenship noted there are projects proposed for each jurisdiction: cleaner and quieter electric buses for the upper valley; increased frequency for the midvalley; introduction of WeCycle for Carbondale; extension of BRT service to downtown Glenwood Springs; trail funding and increased frequency of service for New Castle. The heavy amount of opposition was likely unwillingness to pay an additional tax. There were several ballot measures throughout the valley to increase taxes or adjust mill levies to maintain revenues. “People had a lot of difficult decisions to make this year,” Blankenship said. If the 608-cushion held up, he said he was pleased people climbed aboard with RFTA. “This will go a long way to making RFTA a sustainable organization,” he said.